4-1 against Manchester United, 6-0 against Tottenham, 6-3 against Arsenal. The consistency of this type of score-line against opposition of such high quality continues to baffle some of the best sides in the Premier League, and with a Champions League tie against Barcelona on the horizon, strikes fear into the heart of some of the best sides in Europe. After a slow start to the Premier League season, Manchester City have steamrollered everything put in front of them over the winter, dominating their opposition and attacking with flair. Dominance at the Etihad has overwhelmed several sides, with only a masterful tactical display by Jose Mourinho stopping such a force. However, in spite of a minor falter over the last 2 games, City’s large squad and world-class attacking style leave them as one of the favourites for the title. The disappointment of last season has been quickly eradicated thanks to one man, Manuel Pellegrini. Pellegrini inherited a broken side from Roberto Mancini, with training ground bust ups a common occurrence. He has since created a side with structure, making brave decisions in the transfer market. The sale of Carlos Tevez, who had been a focal point for them in the previous season, could have caused problems if the Citizens had struggled to fire. However, the signing of Alvaro Negredo has provided an excellent partnership with Sergio Aguero, which has been their main source of goals this season. Pellegrini has also changed City’s attacking style. Although defensively organised, City are fluid in the final third of the pitch, making their game more dynamic and fluid. The introduction of Jesus Navas has given them an extra attacking option in the form of an out and out winger. Also, the introduction of Fernandinho into the side has given Yaya Toure more freedom going forward, which has helped him have his best season in a City shirt so far. However, Pellegrini’s strength has not been without it’s weaknesses. Although the defence has looked strong for the most part, the introduction of Martin Demichelis has left them looking shaky and uncertain. The absence of Fernandinho in their previous 2 games has clearly shown, with Chelsea dominating the 50/50 battles in midfield, and Norwich being able to get a foothold in the game. The signing of Stevan Jovetic has also been suspect, and Edin Dzeko has at times struggled to fill the shoes of Aguero and Negredo. This shows that Pellegrini may not be the most adaptable of managers, but when he can pick his best XI, you would struggle to find a side that could match them. Pellegrini has adapted well to English football, but still has a lot to learn. 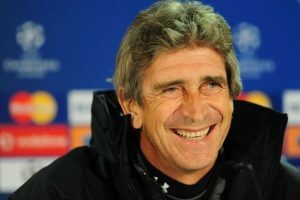 With the money he has at his disposal, and the experience in both South America and Spain, there is no doubt that ‘El Inginiero’ is the right man for the City job and could guide them to be Champions of Europe over the next few years. Next articleFulham and Felix- The Perfect Match?